Our ministry in Uganda began in 2014 with a two-day Pastors & Leaders Training Conference in the city of Bugiri (pronounced Boo-gi-dee). 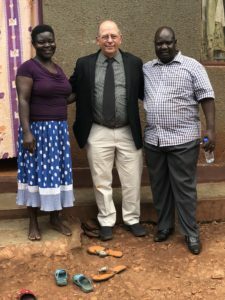 Bishop Chris Luswetti, a couple of other pastors and me traveled by car and crossed the international border between Kenya and Uganda. The border crossing took two hours and was not a smooth or pleasant experience. The trip from Eldoret, Kenya to Bugiri, Uganda took about 6 hours, all on two lane roads except the last leg of a single lane dirt (path) road. Pastor BK Barak and his wife. The conference in Bugiri went extremely well resulting in expanding our ministry to include Mbale, Uganda in 2017 and Jinja, Uganda in 2018. 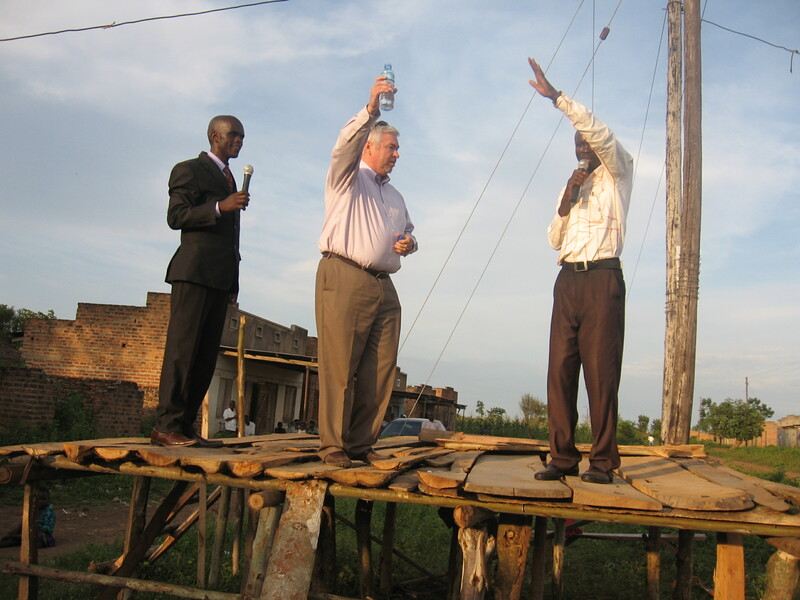 We also conducted an Evangelistic Crusade in Bugiri with many souls coming to Christ. 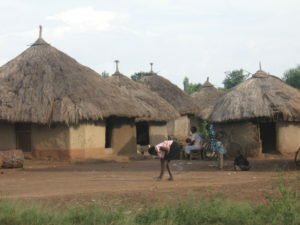 A village near the church in Bugiri. 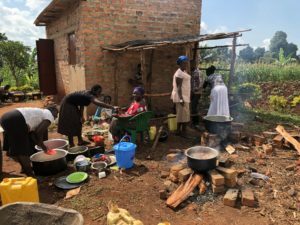 God has blessed the work in Uganda in a big way. 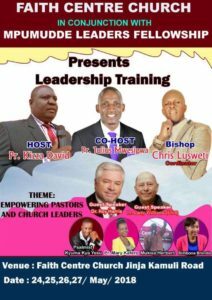 I’m pleased to have met, trained and become friends with hundreds of fine and harding working pastors and leaders in Uganda. 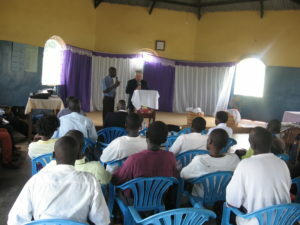 Speaking at a session in Bugiri. One of the most unusual gifts I’ve ever receive. It was truly a sacrifice for from the folks in Bugiri. They wouldn’t let me bring it home to America on the plane so I gave it to Bishop Chris. 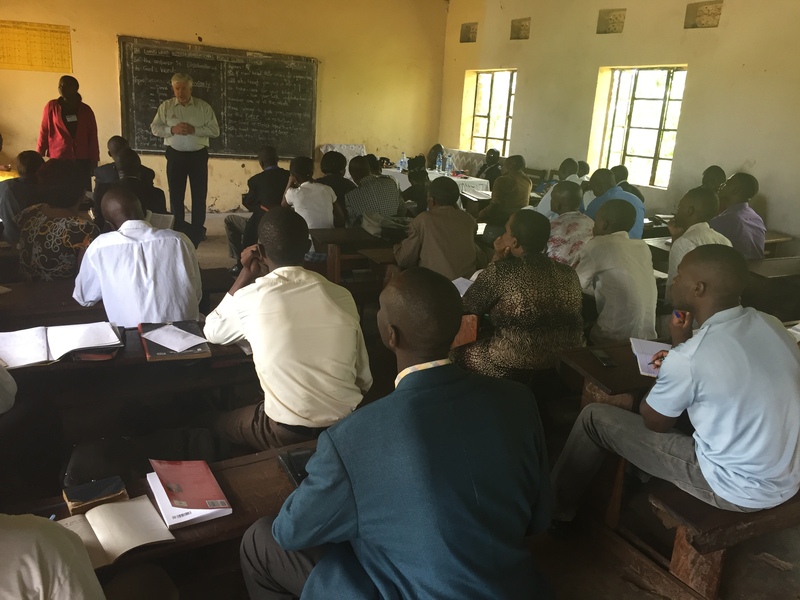 75 Pastors and Leaders attended the Training Conference in Mbale. Couldn’t get all of them in the picture. 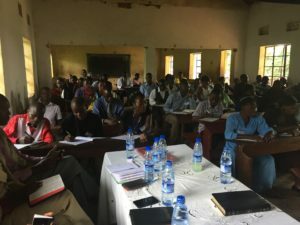 Picture from back of the room in Mbale. They actually wrote down my notes on the black board behind me. 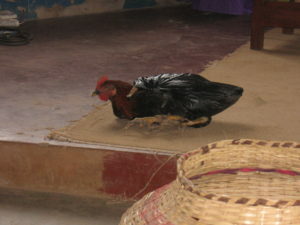 They are so hungry to learn in East Africa. I had the privilege of having Pastor Larry Williams from GA with me on the spring 2018 trips to Eldoret, Kenya and Jinja, Uganda. 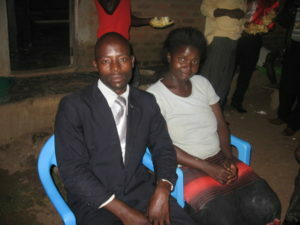 He connected well with the people and God is using him in a unique way to help and encourage the African people. Truly an open air church. This is the church where the Jinja, Uganda Pastors and Leaders Training Conference was held. 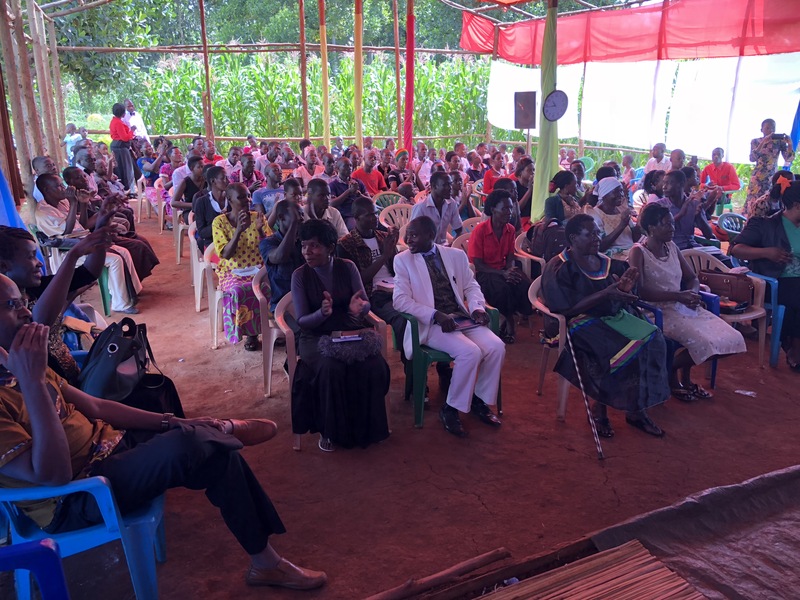 I believe the total who attended the conference was around 180. 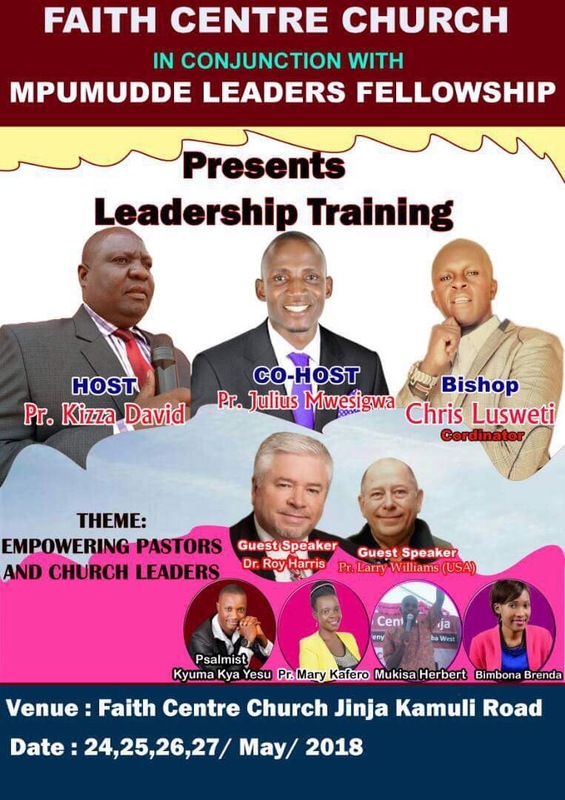 The poster from Jinja that was used to promote the Conference. 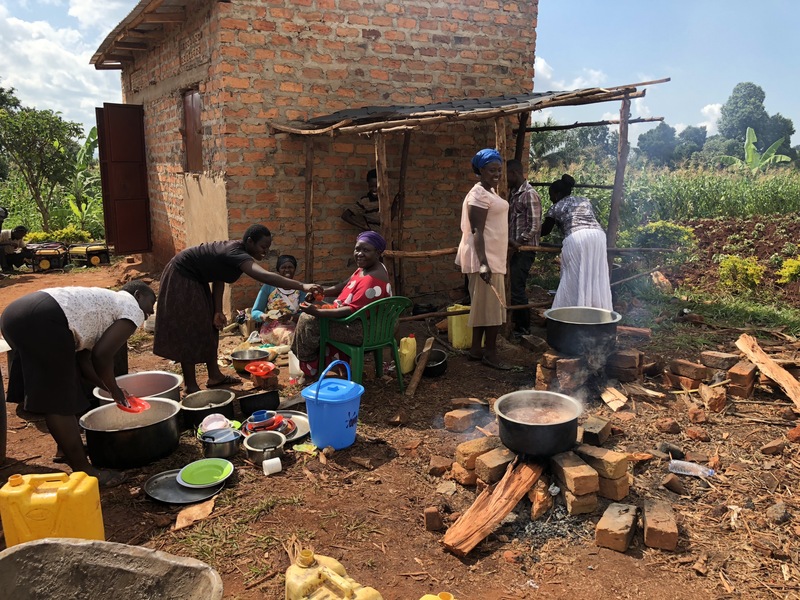 The ladies worked hard and did a great job preparing the meals for the Jinja conference attendees.